Editor’s Note: Beauty and The Beast is now showing in Malaysia, and the article has been edited since publishing to reflect that. 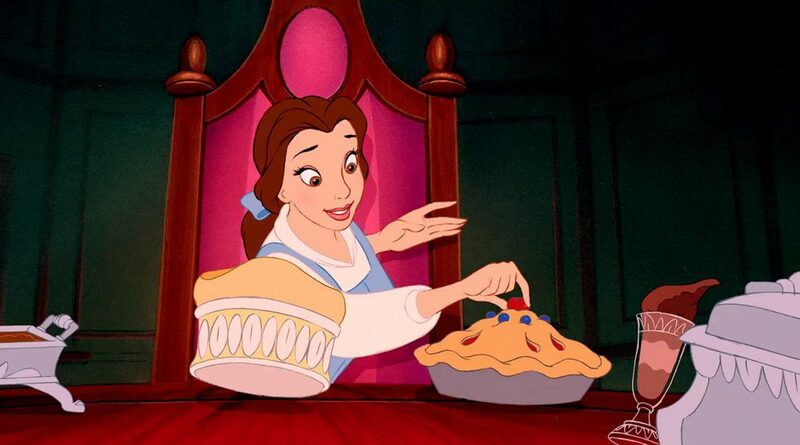 It’s understandable how beloved the characters of the tale are, particularly Belle. As far as Disney princesses go, Belle is a “smart girl” favourite because out of all of the princesses, this one reads books. Not only is she attractive, she has an entire childhood’s worth of experience being “the smart one” among her contemporaries. But smarts can only take you so far. 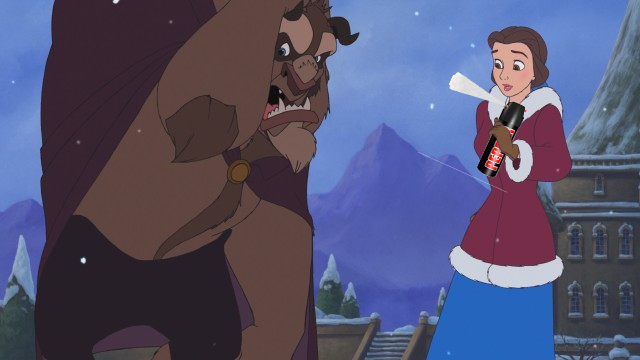 It only took Belle as far as the Beast’s Castle. And if the movie is to be believed, that’s walking distance away from her home. 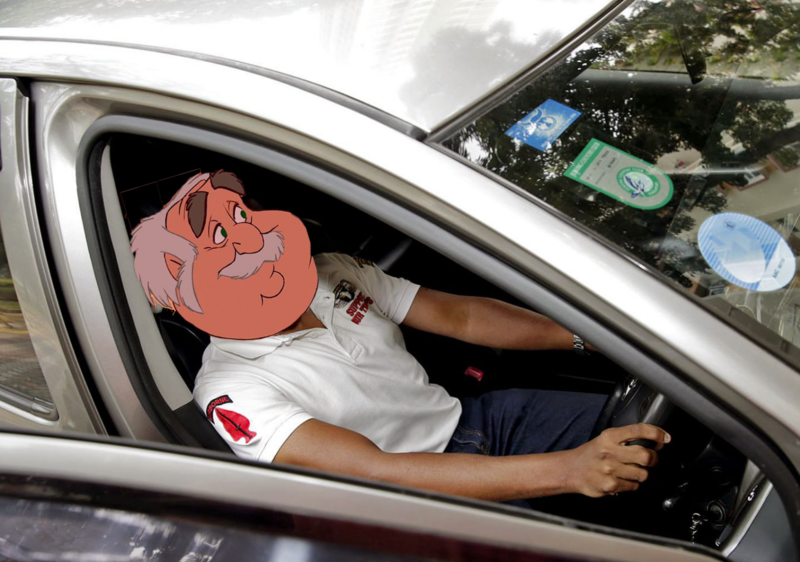 Imagine if Belle had a car. 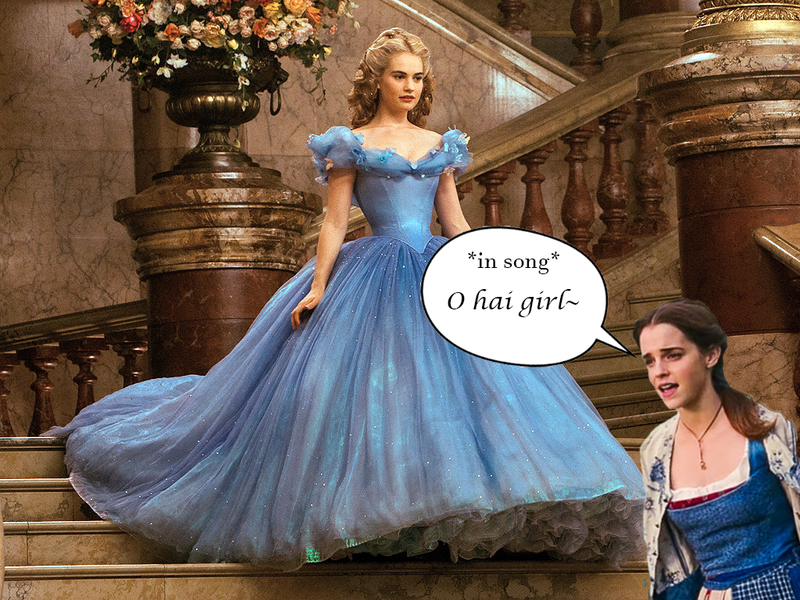 She could probably even head over to a different castle to say hi to homegirl Cinderella. Even if she couldn’t afford to buy that car, she could just rent one with GoCar (incidentally, now offering 50% off membership fee and first hour for free as a first time user. Just use the promo code “GOCARSUNWAY” before March 31 2017). And so while we were taking a totally “not sponsored” (wink) stroll through Sunway Pyramid and seeing all of the Beauty And The Beast posters posted around TGV Cinemas, located on the 3rd floor, Old Wing, we began to really think about how easy Belle’s life would have been if she existed in the modern era, especially in Malaysia. 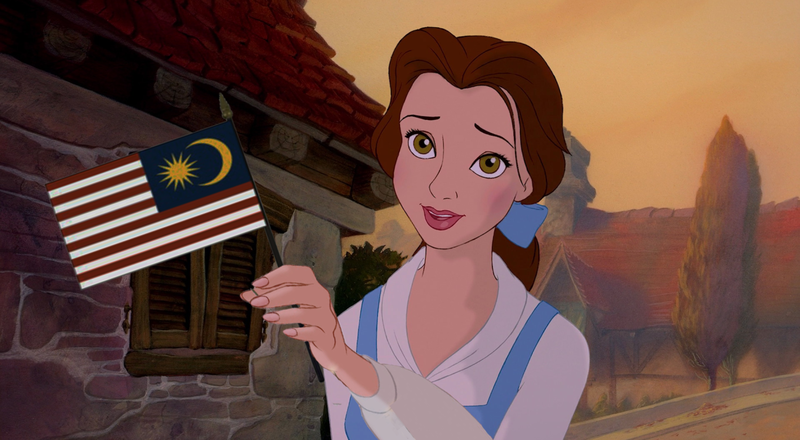 So this is our take on if Belle was “Nabilah”, and Nabilah believes in #MalaysiaBoleh. In one of the more terrifying scenes of Beauty and The Beast, Belle’s father, Maurice stumbles his way into a cursed castle instead of an inventor fair. And for a human who cannot be trusted to navigate their way out of a paper bag, maybe he should just step off the horse and let a Grab driver take him to where he needs to go. 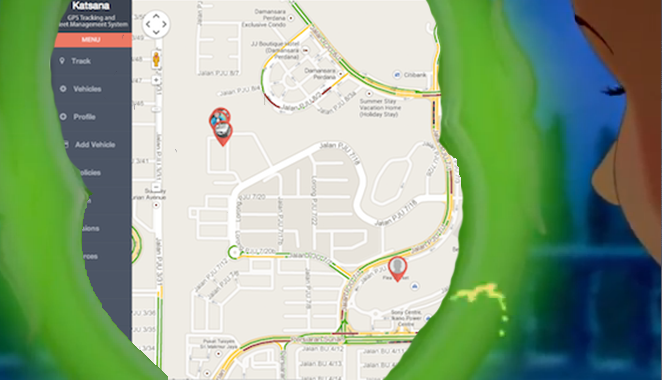 Many Grab drivers don’t know their way around unfamiliar areas either, but that’s what Waze is for. And hey, even if they got lost in the car together, they could at least still be protected from the elements like rain and snow, instead of ending up in the castle and sacrificing his daughter’s freedom to save his directionless self. For all of Belle’s merits as a princess, she is very much a normal human woman who likes to read. As such, when it came time for danger, this strong independent woman still needed her manbeast to come save her from the wolves. 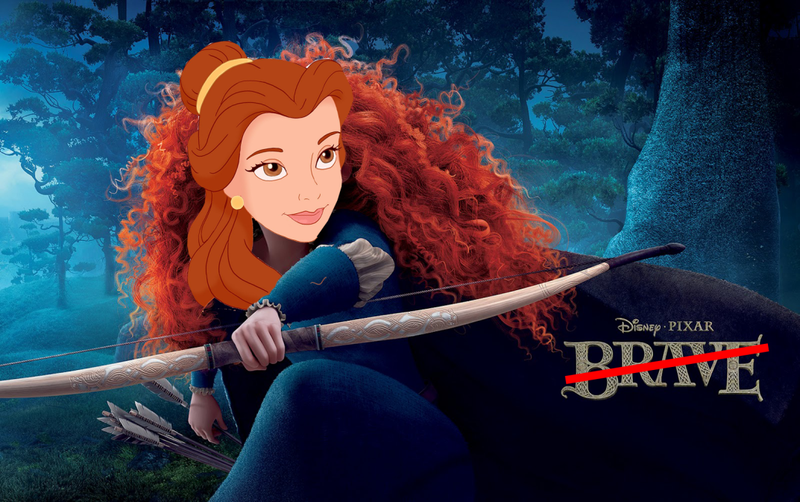 If she knew that she wanted adventure in the great big somewhere, she really should have picked up archery. This way, when she rode away from the castle and the wolves came a-knockin’, she could have headed to high ground and picked the wolves off one by one, Call of Duty style, and then just… rode home. The Beast wouldn’t have gotten injured, and she wouldn’t have had to walk him back to his castle instead of enjoying nice reunion wolf stew with her father back home. We have covered a little about Maurice’s lack of directional sense, and from what we gather in the beginning of the movie, this stems for his bumbling airhead tendencies. 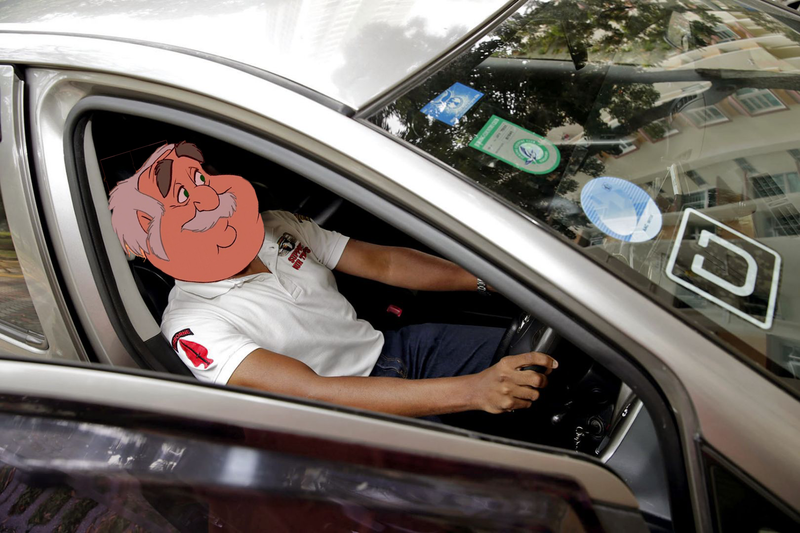 Knowing all of this as a doting daughter, and knowing how directionally challenged he is, it is easy for Belle to install Katsana on Maurice’s wagon so that she can keep track of where he’s going. So instead of running over the forest to hunt for Maurice only when the surprisingly intelligent horse finds his way home to her, she could have easily seen Maurice straying from his intended path thanks to Katsana’s GPS tracker. All she’d need to do is race after him and get him to his invention fair way before he could have bumbled his way into Beast’s Castle. In one of her first few interactions with the Beast, Belle locks herself in her room and refuses to have dinner with the Beast, who was, of course keeping her prisoner so we don’t blame her for this. But when the night goes on, of course Belle gets hungry and heads down to the kitchen in search for food. But honestly if she really wanted to stick it to the Beast, she could have ordered takeout in from foodpanda, and she doesn’t even need to leave the room. Options include even Belle’s usual fare from restaurants like Dave’s Deli, or even more Eastern tastes like Madam Kwan’s. In fact, a healthy restaurant like Delicious would provide her just the food she needs for her passive aggressive courtship with Beast over the next few days. Plus, she won’t have to deal with the Be Our Guest musical number from that night. You can fight me on this, it’s boring. Deal with it, you furniture. During the climax of the movie, Belle is locked up in her shed as Gaston, the villain, rallies the villagers to storm Beast’s Castle, Frankenstein-style. By the time she escapes thanks to the help of a chipped teacup and finds her way back to the castle, the Beast has been stabbed and close to death. Of course, the power of true love or something brought the Beast back to life as a handsome man, but he got stabbed and was really hurt. But if she had a pepper spray on her while Gaston was trying to lock her up, she could have defended herself from him (and the satisfaction of taking down a very self-absorbed jerk). She would have been back to the castle before stabbings even occur. There she could still have kissed the Beast to transform him into a handsome man. Easy. The tale is as old as time, but the character of Belle doesn’t have to just wring her hands and accept the cards fate has dealt her. With the uncertainty of whether the new live action retelling is ever going to come to our screen, fans in Malaysia are simply hoping for the best, and their hope was justified with a release on the 30th of March 2017. We can still enjoy the Disney magic in the original. And Sunway Pyramid is bringing the world to life from the 10th to 26th March 2017. From recreating the marble stairway of the Beast’s castle to the iconic rose garden, all these and more will be available for viewing at the mall. The centerpiece? 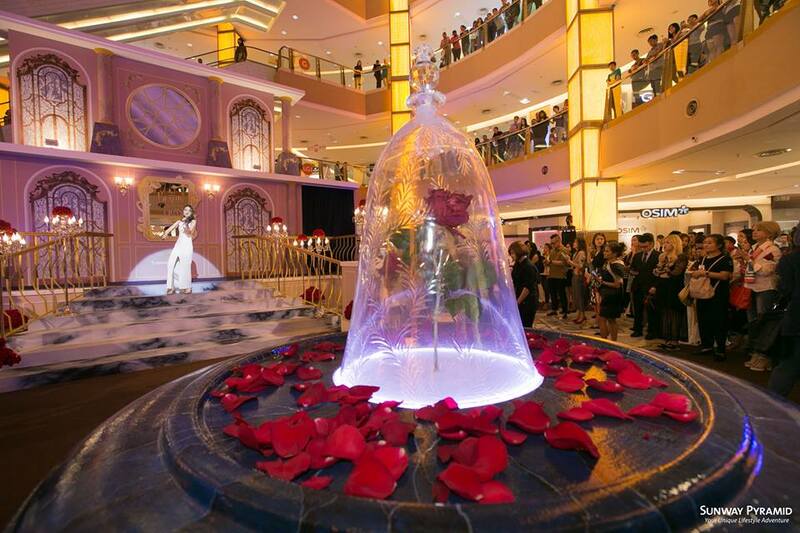 A replica of the Beast’s enchanted red rose glistening in a bell jar at the center of the concourse. Now to hope we’ll be able to catch the magic in our cinemas too. This article was brought to you by Sunway Pyramid.